Joshua and I have decided to take the plunge and move forward with removing all the carpet in our home and replacing it with laminate. 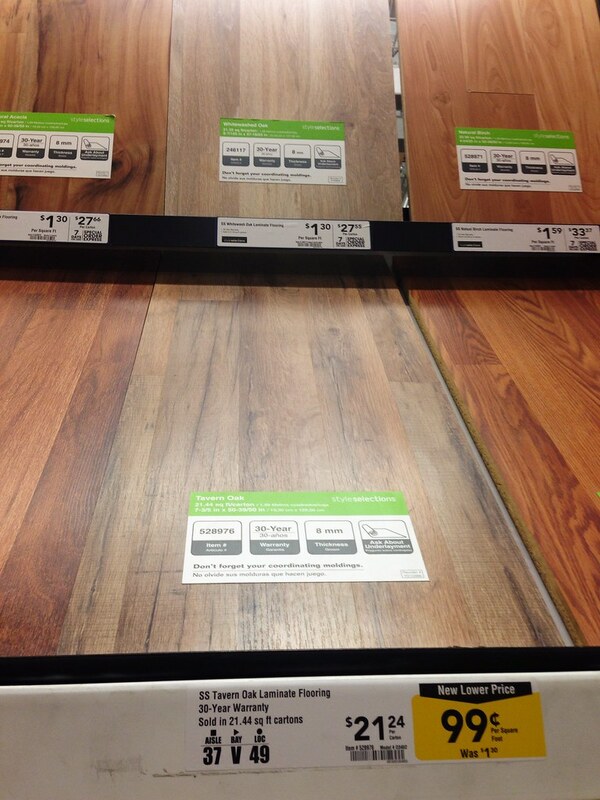 We spent our Labor Day weekend visiting various flooring stores to compare pricing on materials and installation. We came home with a lot of samples. 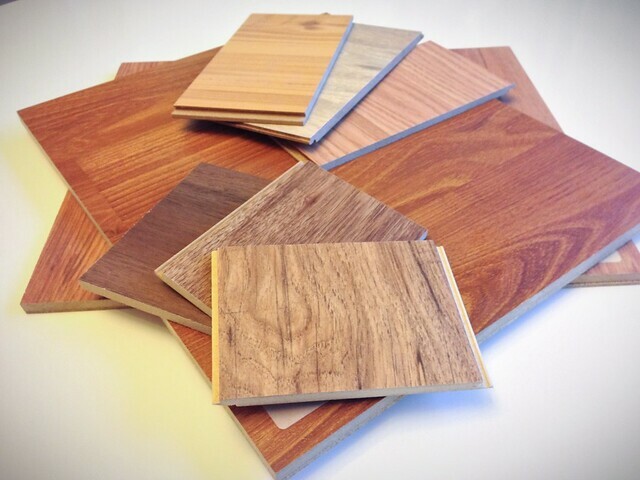 Our goal was to keep both the cost of materials and installation under $2 per square foot. Since we have roughly 1600 square feet of carpet to replace, we have to keep it budget friendly. The winner? Lowe’s (I swear, we always end up going with them). They had the lowest price for the flooring we wanted (the Tavern Oak seen above), low price for installation, lowest price for installing base board, and no sales tax! No one else could compare. Since the majority of our house is carpet we’re going to start the process of packing things up that we don’t need. We have a bit of planning to do, so the goal is to get the flooring in by the end of next month. With four animals, I know my allergies and Roomba are going to be a LOT happier with this change!